PrabhasMyHero Blog: Audio Track List of Baahubali 2 Revealed. 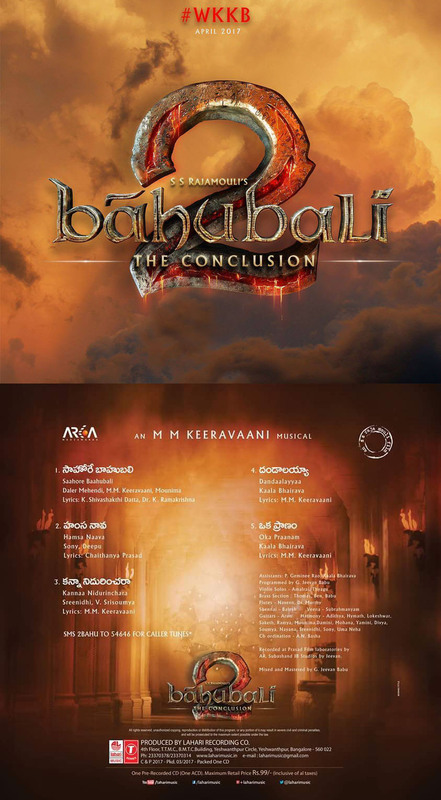 The audio track list of Baahubali 2 has just been released. The album consists of five tracks with Sahore Baahubali sung by Daler Mahendi leading the album. Lahari Music has also released a video on the album tracks. Hoping the music album will be released soon.